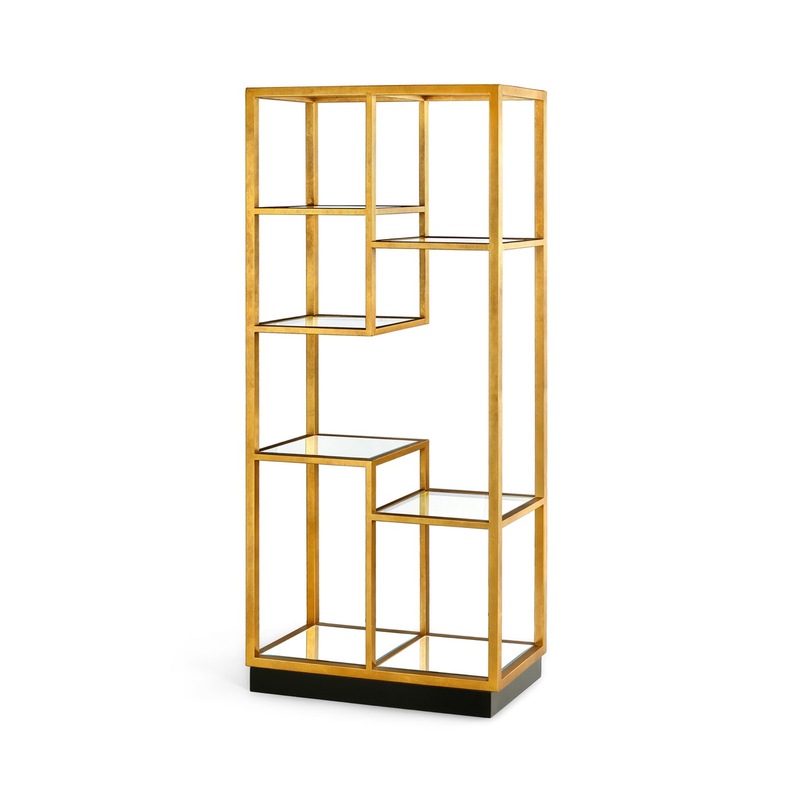 The innovative design of this etagere-style shelf is an architectural display and storage solution. The various floating geometries are grounded by a black lacquer recessed base. 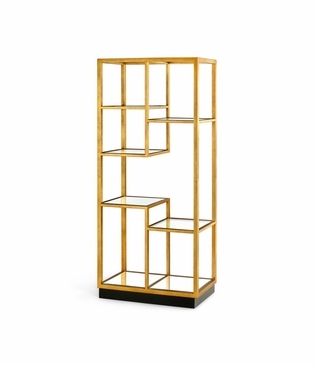 Constructed of sturdy iron, the gold-leafed frame supports beveled clear glass and mirrored shelf inserts, adding polish and sparkle. Freight charges may apply. Size: H: 72.5" • W: 32" • D: 16.75"